There was a time when a car wrap was merely a cost-effective way via which businesses and brands were able to advertise their products. All you need to do is pay the vehicle owner an amount and a commission for installing a car wrap on their car and voila! Your product will be advertised as long as the wrapping lasts. However, as the days have progressed, vinyl car wraps have become more realistic in nature. They now can be passed off as the painted exterior. When you add this feature to the extended durability of vinyl, many vehicle owners find themselves opting for car wrapping. While car wrapping in Denver has gained popularity, this does not mean that you can go ahead and pick just any car wrap. The decision requires a thorough analysis of a variety of factors. Here are a few things you need to consider when choosing the perfect car wrap. Once you have decided to wrap your car with vinyl wrapping, the first thing that you need to do is to take measurements. Analyze to what extent you wish to cover your car. We advise you to go all the way for it to look consistent and believable. You can approach this task by separately measuring each part of the vehicle that needs to be wrapped. Once you have taken the sizes of the roof and the sides of the car, all you need to do is add those measurements and you will arrive at an estimate of how much car wrap you need. If you feel like you are not being hundred percent accurate with your measurements, you can search for the dimensions of your vehicle online or avail the service of a provider who will do it all for you. Just like any other purchasing decision, you can’t progress much if you don’t set a budget right at the start. This is because a car wrap can have varying prices depending on the type of material used and how much of the product is needed. Moreover, different brands will charge different prices and the same goes for installers. Therefore, you can get the job done in a few hundred bucks, but the expense can also extend to thousands of dollars. It all boils down to what your budget is and how well you stick to it. Set an upper limit to your expenditures to ensure you are not faced with unlimited choices. While you might think that having more choices is a good thing, the truth is that it leads to the worst decisions. Set a limit and stick to it. Make your decisions accordingly. There are two kinds of car wraps available in the market, namely cast vinyl and calendered vinyl wraps. You are required to decide which type of car wrap you prefer. A cast vinyl is better than a calendered one when it comes to quality and performance. It is known to stretch more nicely as well as adjust to the curves of the concerned vehicle with immense ease. Moreover, once you are fed up with the car wrapping, you can easily remove it. However, all of these value-added features come at a premium price. For those of you who are on a tight budget and are only looking for a temporary car wrap, a calendered vinyl will do the trick. However, don’t choose this type if you wish for durability or ability to conform to a given automobile. Both types of vinyl have both digitally printed and pre-cured designs. You are required to choose which kind of design you want on your car. Do you want to customize the design by yourself? Or do you wish to select from the wide variety of pre-cured collections available? For those of you who are looking for an added oomph factor which ensures that your vehicle stands out and is a reflection of your personality, digitally printing the car wraps and styling the design on your own will be the better option. However, if you are tired of making decisions, a pre-cured design will work too. Even if you choose the pre-cured design, you will be required to give your input regarding the colors you want and the style you wish your car to exhibit. How wisely you choose your installer will have a significant impact on the outcome of the car wrapping process. You might think that the act is easy, but the fact is that car wrapping is a very technical task which requires attention to minute details and precision. Choose an installer who is known for their quality. Ask around and pick a service provider who knows vinyl wrapping inside and out and has been known to deliver excellent results. Remember, a botched job will not just cost you money, but it might also ruin your car. How? Well, the process of car wrapping requires the use of a knife and we all can imagine what can happen if such tools are not used with caution. Regardless of which design or style you opt for, make sure you do equip your car with a car wrap if you wish to protect its factory paint from harm. However, make sure that you make an informed decision about which product to use and what services to avail. Some of the Car Wraps Denver Residents Have Chosen! ​When you take pride in your vehicle, you want it to stand out in a crowd of other cars that look just like it. And while you could spend a fortune on custom paint jobs and aftermarket parts, it likely won’t appear the way you had hoped. Instead, a better alternative is with quality Denver car wraps by RM Windowtint. We continue helping more drivers enjoy a customized car wrap experience that creates lasting quality and personalized results to create your ideal vehicle’s appearance. We don’t only offer the best in local Denver, Colorado car wrap services, however. Our dedication to customer satisfaction stems from assisting you in making the best buying decisions, as well as help you navigate through the many choices available for your vehicle. ​Some drivers think that all vehicles receive only one type of vehicle wraps that are made for all cars. However, you have several choices and styles to select, all of which have different finishes. Vinyl wrap is the default standard for many, mostly due to its longer lasting showroom glossy sheen. 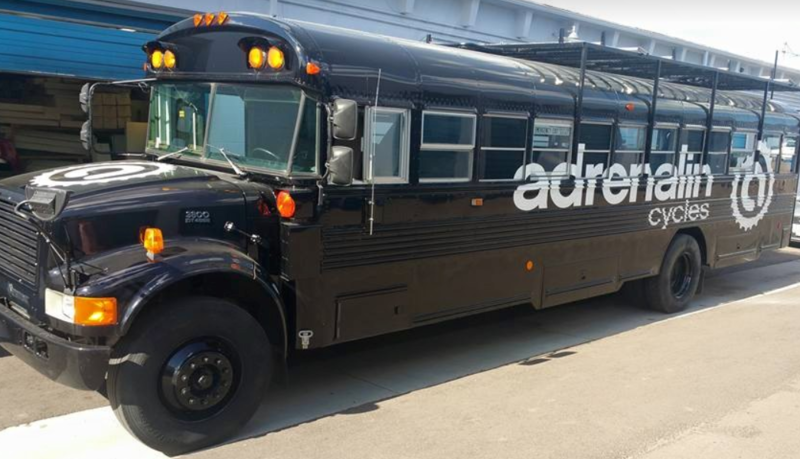 When choosing vinyl for your vehicle wraps, you aren’t limited to a whole-body coating. Your vinyl wrap can get applied partially, completely, or with custom imaging. You can also upgrade your service application to 3M vinyl wrap for added customizability. No matter which of our vinyl wrap car services is right for your vehicle, we guarantee the best quality of finish possible for any job that you have. See why more area drivers depend on us for the best quality for car wrapping Denver solutions. ​Many people wonder why they should go for a vinyl wrap car rather than updating their vehicle’s paint instead. However, your wrapping is more than a simple fashion statement. Coating your vehicle in a vinyl wrap allows you more customization than with automotive painting alone. And if you grow tired of your vehicle’s new appearance, it comes off much easier than paint will each time. No matter the reason why you’ve chosen our shop, we guarantee the best car wraps Denver drivers prefer each time. See what we can do for your vehicle’s appearances today. Why Vinyl Wrap Denver Services? ​There are a surprising number of advantages to owning a car that has received vinyl wrapping. In addition to enjoying an easier time finding your car after leaving the store, you are also offering your vehicles better protection. 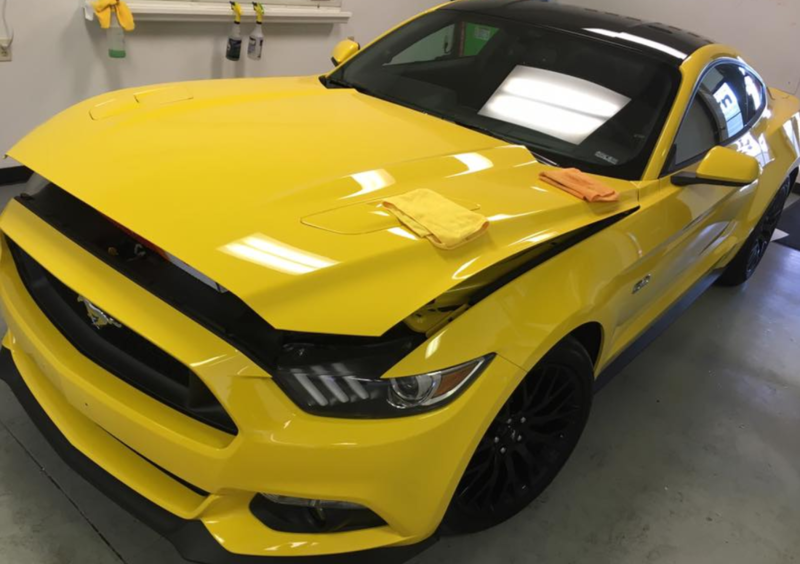 If you remain concerned about losing your car’s value from changing the initial paint job, your wrap will preserve your original coating. When it’s time to sell, or if you’ve decided it’s time for a new application, you can just peel it away and start again. When you find yourself in a fender bender, or if a rouge shopping cart used your car to stop, you will likely discover that only the vinyl received scratching. And having an additional layer of defense can prevent substantial auto body issues from forming. 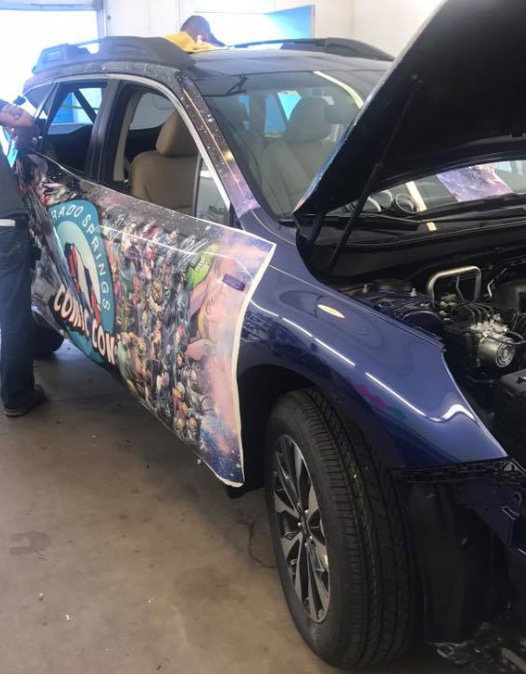 If you are a Denver small business owner, your vehicle wrapping can easily get used for advertising your company, and you may even find it possible to write it off as marketing materials. Whatever the reason for your job, we do our best to stay the car wraps Denver service you can trust each time. ​Many drivers settle for professional vehicle painting as they believe it is what they “should” do. However, simply because it remains a common choice doesn’t mean that it’s necessarily the best decision. For starters, having your vehicle painted can take up to two weeks, leaving you without transportation. When we apply your vinyl wrapping, however, we can typically reduce your waiting time to three to five days. A professional paint job can cost around $10,000 or more depending on the type of vehicle, the recommended materials, and time and labor. Vinyl vehicle wrapping can get offered at a fraction of that cost every time, and there are little to no restrictions on what cars we can service. ​Whether you prefer to clean your car by yourself or have it professionally detailed, there is one thing that remains constant. When it’s time to wax your recently cleaned vehicle, it can take forever to buff it all out. Wax fills in any gaps located throughout your clear coat to create a waterproof barrier. However, because it is a hard, stiff material, it needs to get worked in manually, and it must get rubbed entirely into the vehicle. Leaving streaks of unabsorbed wax will eat your paint, leaving it vulnerable to rust. When you wrap your car, however, it eliminates the need for wax ever again. You’ll find that your car looks like new from just a quick application of soap and water. If you are tired of wasting hours just to make your car look clean, then our vehicle wraps Denver technicians are the ideal choice for you. ​For most drivers, they never need to worry about their original paint coat peeling or chipping. However, heat, snow, ice salt and other hazards likely leave your vehicle looking old and rusted. While vehicle manufacturers apply your original paint to last a lifetime hopefully, chances are you begin seeing fading or damage within just a couple of years. Some new vehicles see their color starting to bubble even with proper care and maintenance. Unfortunately, if you choose a poor-quality auto paint shop, you may only discover that your new coating has already begun to peel away after a couple of short years. When you apply vinyl car wrapping, however, you can often experience five to seven years, or longer, of continuous protection. 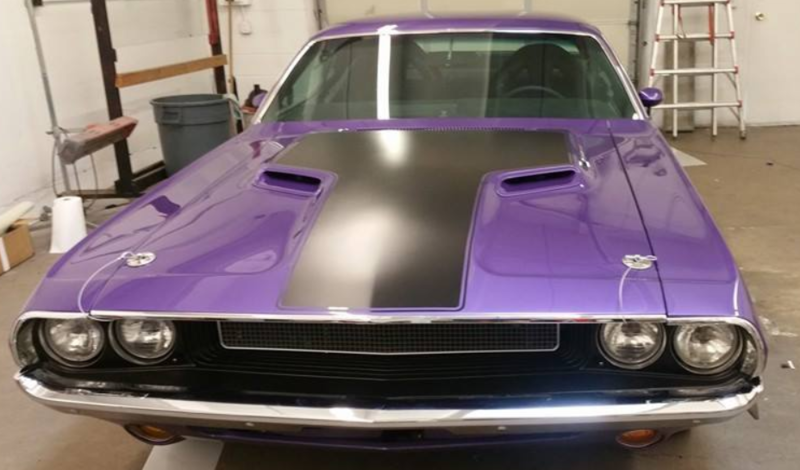 If you are sick of always worrying about how the region’s climate is affecting your vehicle’s paint, then it may be time to try a higher quality vinyl wrap instead. Choose us for your best car wrap Denver services. ​3M, the company that makes many of your favorite office and home convenience items, also has a line of premium vehicle wrapping as well. Unfortunately, if the company doesn't certify the shop you bring your car to, they are not going to achieve the results you had hoped to see. To become certified as an installer, you must undergo specialized training. As a commitment to 3M’s excellence, they want to ensure that you receive the highest quality results possible, and not everyone has the patience or skills required. There are also several levels of certification that installers can choose from, meaning you can’t always know for sure that you’re going to get the level of satisfaction you had expected to receive. Instead, you can still rely on our staff to produce the best vinyl wraps Denver drivers trust each time. When you can’t afford to get a poor-quality application, or you don’t have the budget to fix their work, you need the reliable choice in complete vinyl wrap services. Call our team to schedule your appointment for the best quality applications around. ​Our staff continues after more than 20 years of providing more area residents with a better class of vehicle protection and customized appearances. Combined with more customizability features than any other wrapping service in town, we have helped countless drivers discover the lasting quality that they love the most. Our experience is just one defining reason why you can continue counting on us for your best vinyl wrap applications. We strive for only the highest levels of customer satisfaction no matter the scope or budget of your job. Our shop uses the highest quality of materials available on the market to make your vehicles appear their best each time. When you need your truck to look as if you just drove it out of the showroom, our team creates lasting finish coatings that you will enjoy for years. The Denver climate can leave your vehicle looking like a mess throughout any season of the year. Make sure that your car can weather it all with our best vinyl vehicle wrapping. ​When you are ready to go beyond basic car painting, then you need our staff to protect your vehicles better. Contact RM Windowtint today for your best vinyl wrapping.